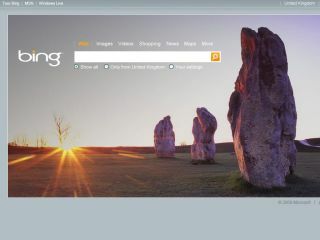 Will News Corp pay for Bing access? Bing - to get News Corp. content? The Financial Times has suggested that Microsoft has held talks with News Corp to discuss paying the publisher to de-index its news websites from Google. that Microsoft is adding its significant weight to the situation. Quoting a website publisher, the report suggests that Microsoft is actively looking to pay people to de-list content, although it was News Corp. that made the opening overtures. Although the report has not been confirmed by anyone publicly – and Microsoft refused to comment to the FT on its story – it does continue to highlight one of the hot topics in both publishing and the internet at the current time. News Corp. is not alone in wondering if taking content away from Google is the best way to make money – be it with a pay wall or some other method. Paying for exclusive indexing rights has been the subject of debate online since first being suggested by Mark Cuban. Google News – a service that brings multiple sources together to a single point – has been a controversial part of the search giant's portfolio since its inception, although others, including Microsoft Bing, now offer a similar service. Google's Eric Schmidt has already castigated News Corp's decision, to take its content out of the search engine. With Bing recently coming out of beta in the UK and still performing well in the search market against Google, the presence of News Corp. content on Microsoft's search engine and not the industry giant could give it a much-needed edge. TechRadar contacted Microsoft for comment, but the company has declined the offer.